Seriously, this is getting embarrassing now. Notifications are the single most annoying thing on our phones. They badger us to open apps all day, stick around longer than we need them, and divert our attention from whatever we're actually trying to do at the time. While Android and iOS both use a similar system to deliver alerts via banners and dings, they are not created equally. Even before the public beta of version 9.0 landed this week, Android's system of notifications was far superior to Apple's. As someone who regularly bounces between the two platforms, I actively ignore the iOS Notification Center, but on Android, I use it regularly to catch up on things I might have missed. The Android notification shade isn't just for messages and alerts; it's an information center for your entire digital life. As it stands, I have far fewer complaints about notifications on Android Oreo than I do on iOS 11, but the system has its kinks and annoyances just like it did on previous Android version, Nougat and Marshmallow. 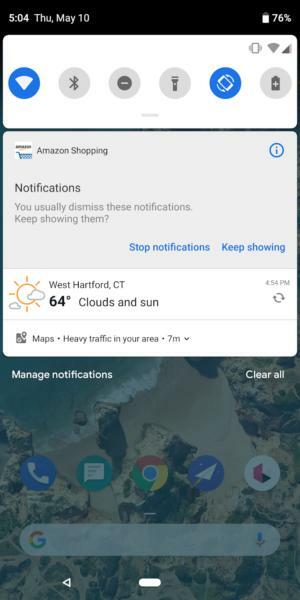 But in Android P, notifications are nearly perfect. 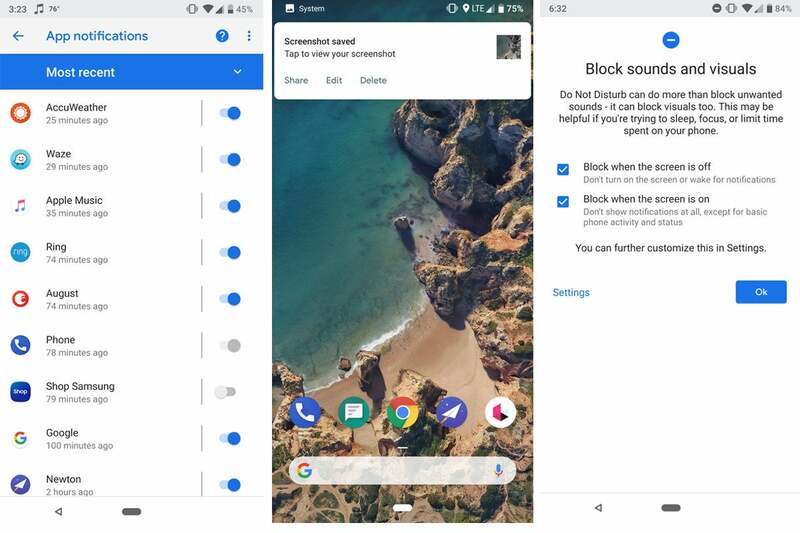 Google hasn't overhauled the notification system in Android P, but it has implemented a series of meaningful tweaks that work to make notifications useful, whether you want to interact with them, control what you see, or just keep them at bay. And I hope someone on Apple's iOS team is taking notes. I can't believe that there are many iPhone users who actually like the way notifications work on iOS. At best notifications are tolerated and are a necessary evil if you want to know when you get a message. Other than Face ID on iPhone X— which delivers a stellar experience on the lock screen—there's nothing about the notification system on iOS that's worth keeping. Android P's notifications are more than just shortcuts to an app. Once you unlock your iPhone, the notification center isn't just hidden, it's useless. Notifications that you looked at a moment ago are whisked away to a hidden screen. And even if you do remember to pull down from the top of the screen, all you see is a chronological list of all of the alerts you've gotten from apps, organized only by when they were received, not by relevance or priority. Scrolling through them is an exercise in futility, and the only reason I ever visit the notification center to do is to clear it out. On Android, I spend a lot of time in the notification shade. There are plenty of app alerts that I simply swipe away, but it's also where to find quick settings, music controls, and relevant alerts for things like weather and traffic. 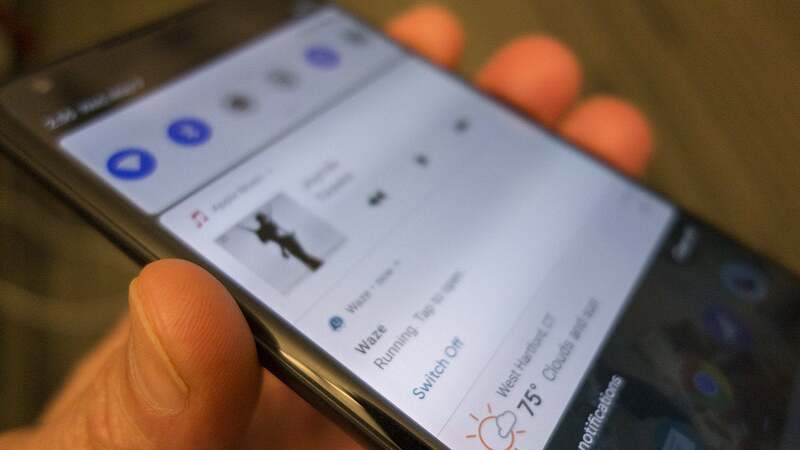 Over the past 10 years, Google has constantly iterated and overhauled its notifications in an effort to develop a system that made mundane interactions on your phone quick and intuitive, whether that's turning off Wi-Fi or keeping tabs on a draining battery. Basically, Google wants you to use its notification center to enhance and unify your phone experience, while Apple seemingly wants you to avoid theirs. In iOS 11, Apple's answer to the cluttered, widget-filled Notification Center in iOS 10 was to basically make it a clone of the lock screen. Pull down from the top of your phone and Cover Sheet will appear, which is basically an unlocked lock screen. All of the notifications you missed (or ignored) can be found there, while widgets have been moved to the Today screen located at the left of the first home screen. And if you want to get to your settings, you can swipe up from the bottom (or the left "horn" on the iPhone X) to bring up the Control Center. From the settings to the Do not disturb, Android P's notifications are nearly perfect. Confused? I don't blame you. Apple's Notification Center has gone from somewhat useable to completely avoidable over the years, while Google's has continued to improve. From the outset, Google took a different tack with its notifications, using a tiny icon in the status bar to encourage you to interact with it, but the ever-evolving concept goes beyond visual cues. Google's notification shade is central to the Android experience, and it's why the same notifications I receive on my Pixel phone are more helpful than they are on my iPhone. And in Android P, notifications are downright blissful. Like before, most apps have channels that let you dial down into just the alerts you want to see (like bookings and parking update, for example). But Android P goes even further: Messages and emails now have suggested contextual replies so you can tap and go. Long-press on an alert and you'll be able to stop future notifications. Swipe and you can snooze it for a while. Tap on a notification for an active app like Waze and you can shut it down with a tap. 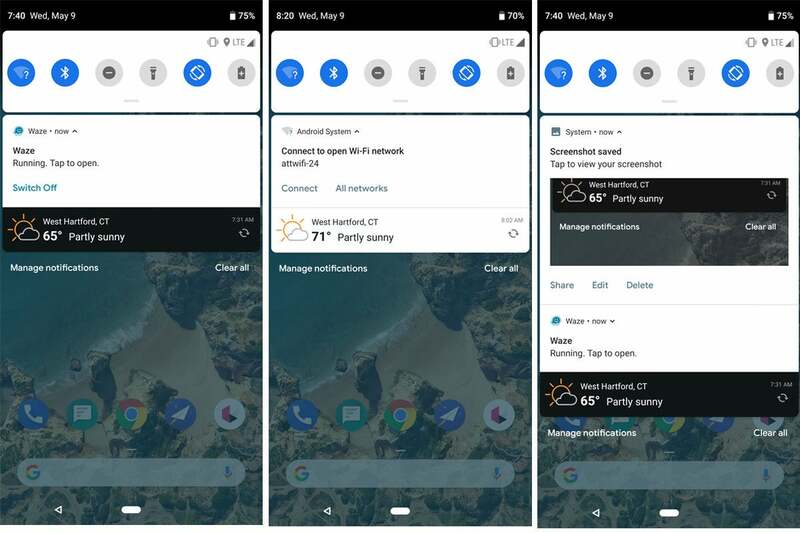 Notifications to connect to open Wi-Fi networks have links to see other networks. And with a tap of the Do not Disturb button you can hide them all, even ones you've already received. Android P will actually ask if you'd like to turn off notifications when you frequently dismiss them. Even the settings are intuitive. There's a direct link to manage notifications right inside the shade, which is where it should be, and the list shows your most recent or most frequents apps rather than a straight list of everything on your phone. If you frequently dismiss a certain app's notification, it will ask if you'd rather turn it off. And when someone doesn't pick up your call, a notification at the bottom of the screen will give you an option to message the person instead. 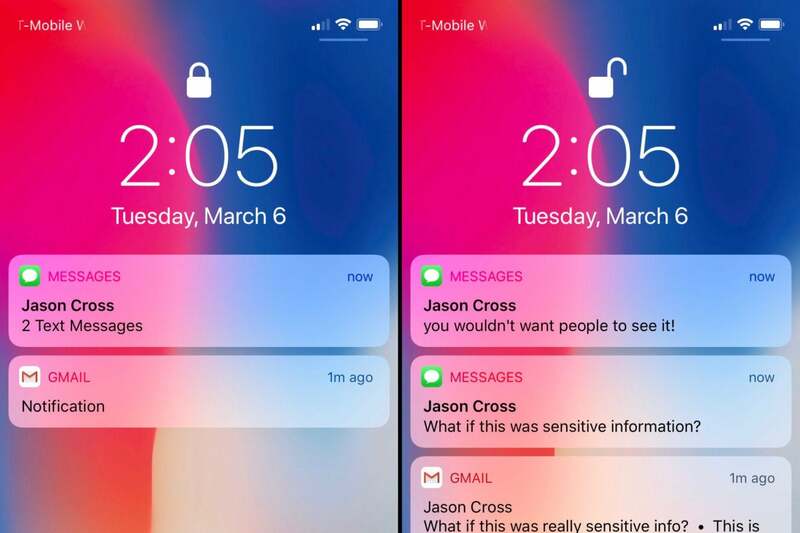 Android P's notification system isn't just better than iOS 11's, it's a completely different way of thinking about alerts and actions on our phones. And if Apple isn't already far along with a system of its own, it should—as Steve Jobs would say—slavishly copy it. One of the unsung features in iOS 11 is its method of taking screenshots. After the screen is snapped, a small image appears in the lower left corner that can be enlarged to markup, crop, and share it, and once you're finished, you then have the option to delete it before it can clutter your photo library. It solves a problem that most people didn't even realize they had, and as a result, Google has now added edit, share, and delete buttons to its own screenshot notification. Keep the lock screen, but change everything else. Apple needs to apply that same level of attention to the rest of its notifications. While the majority of Apple users are content to ignore notifications and only enter Cover Sheet accidentally, it doesn't have to be that way. Apple should craft a system that turns notifications into a useful part of iOS, not a nuisance to be avoided. And if it needs to steal a couple pages from Android to do it, so be it.